OPOTEK, LLC — the world’s leader in OPO tunable laser technology — will be attending the SPIE Photonics West 2019 Conference, including the BIOS Expo. OPOTEK will be in the same booth for full conference: Booth 833 for BIOS and Booth 8833 for the rest of Photonics West. 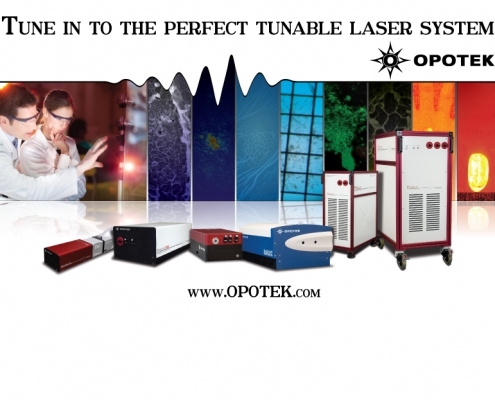 OPOTEK manufactures compact and widely tunable laser systems based on patented optical parametric oscillator (OPO) technology. Systems are used in fields such as photochemistry/biology, photo-acoustics, mass spectrometry, and environmental monitoring. Products range from stand-alone OPO modules to fully automated, turnkey systems. Continuous tunable ranges cover the UV to IR. OPOTEK offers portable and transportable commercial OPO systems and responds to special requirements for customized solutions. Please visit our booth and meet our Director of Sales Damon Glover, Operations Direct Paul Hsieh, and Laser Engineers Antony Mills and Brett Wingad. We will be displaying several examples of our highly sought-after systems and are looking forward to meeting our future customers and potential OEM partnerships.